This Leer burg 2-handled leash is perfect for so many reasons. 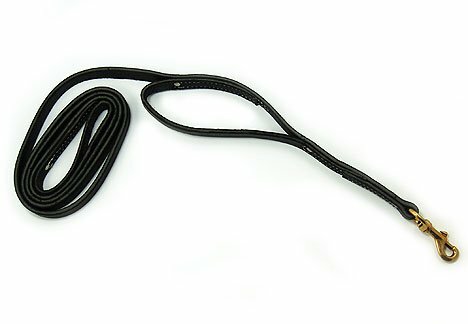 It is basically our 6 ft leather leash with an extra loop handle placed closer to the dog. We love this leash for walking our dogs. When a stranger, other animal, or any distraction approaches you and your dog while walking simply reach down to the lower handle and pull your dog close. When the distraction has passed you can release the second loop and go back to walking your dog as usual. Leather leash for dog 6f 3/4" of cognac color is designed for daily walking off medium and large dogs.